These last few months have been difficult for me. I have helplessly sat by and watched a forest die. Not just any forest… OUR forest… the forest in which we have spent hours catching koalas, tracking koalas, measuring trees, sharing stories and laughs, and appreciating the beauty of nature. The sad part is that it is the koalas that have caused this. There is only so much koala browsing a tree, and a forest can bear (pardon the pun). 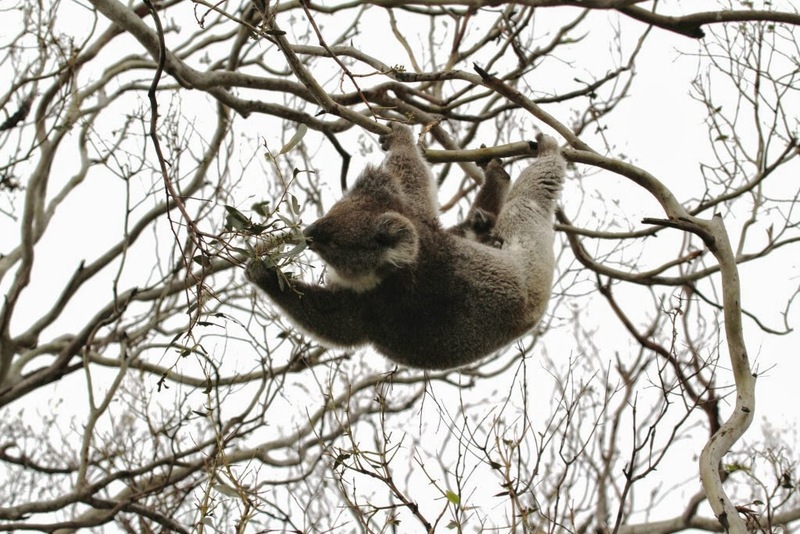 Also as predicted, our koalas are moving in search of food… well, all but Ruby have moved and I hope that Ruby will follow while she still has the energy. Following their movements and condition over the next few months will be a major focus of mine. 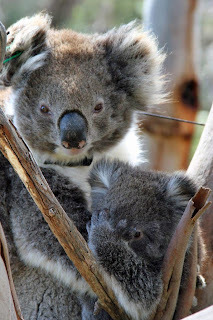 I am hoping that they will not only find their way to the blue gum forest, but that they will survive there. 4. Culling is illegal under Commonwealth policy. 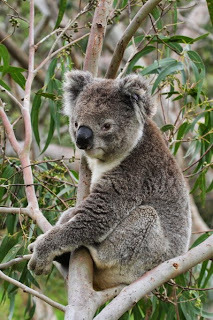 So sadly, I don’t think there is anything anyone can do other than try to protect some trees to save the habitat, do what we can to reduce koala suffering, and learn from this situation. 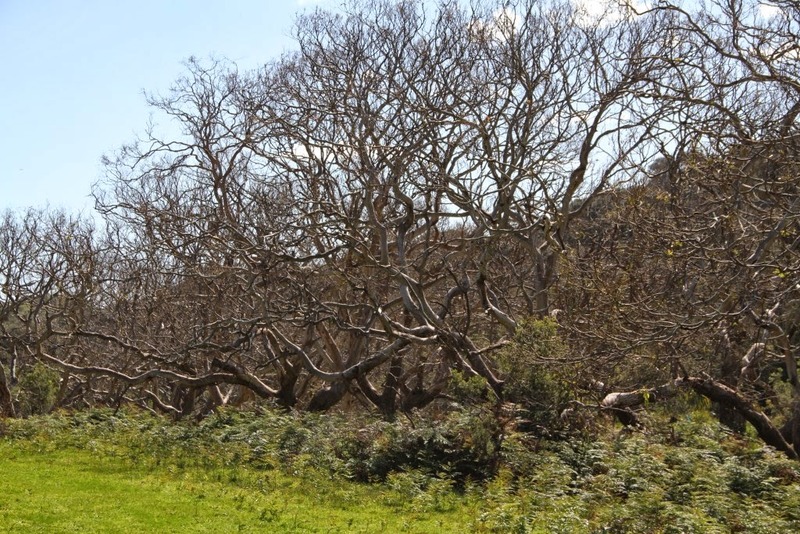 Bimbi Park has done an amazing job of collaring trees and other landholders are starting to do the same. 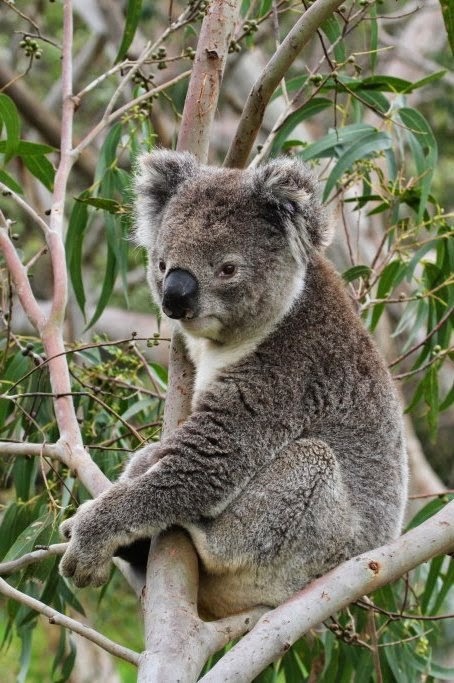 Some say that it is cruel to keep koalas from the few trees left, but no trees = no koalas = no other wildlife = no ecosystem services! We’re also going to be doing more tree planting. 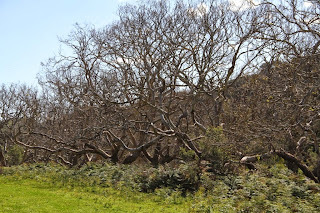 Bimbi Park planted about 400 trees this year and put a burn through some areas to promote natural revegetation. I’ve germinated some of the seed collected by Earthwatchers and have about 600 baby mannas that will be ready to plant out next April/May. Our government environmental department has also become involved and recently sent a team of vets to check on koala health. I caught 30 koalas in 2 days! Our radiocollared koalas were assessed as part of this and interestingly enough, all but one (Nelly) were in excellent condition. Nelly had been dropping in condition even when food was abundant. She was just old! Based on her condition and age, we made the decision to euthanase her; much more peaceful than what would have been ahead of her. I'm currently tracking the others on a weekly basis. They move so much that it takes me much longer than normal to find them. Austin has headed towards the lighthouse; Bella, Claire and Ned are sitting on the top of Big Hill; Scarface is up on Manna Gum Drive, and the others are on Station Beach Track (even Cranky Frankie! ), and in paddock trees. At least if these ones start to suffer, I'll be there to help them. I'm a softie!